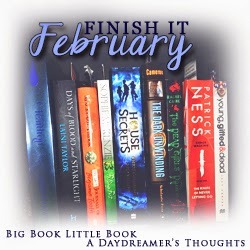 Last year, the lovely Caroline from Big Book Little Book and Faye from A Daydreamer's Thoughts hosted this wonderful reading challenge called Finish It February (using the hashtag #FinishItFeb) in which people were challenged to finish this books in series and trilogies that we've already started (or to finish books they've only partially read but I'm only focusing on series books!). I read quite a few months during the month in 2014 and had so much fun that I wanted to try again in 2015. This is a list of all of the sequels I have available to read during the month of February with the first half (pictured) being my physical books and the second half mostly but not exclusively my e-books I have patiently waiting for me on my Kindle. Goals for this month: finish as many series as I can. Preferably 10 books read and/or 8 series completed but we'll so how things go and revise and review the list throughout the month. I look at most of these books and feel really, really bad. A lot of them are in some of my favourite series. A lot of them are by favourite authors. Some have been sent for review. And I do feel bad. I don't always remember the details between a year-long wait between books and I don't always have time for rereads of previous books in series so I do rely on websites like Recaptains. Usually though I just dive in and hope for the best regarding in-book recapping! 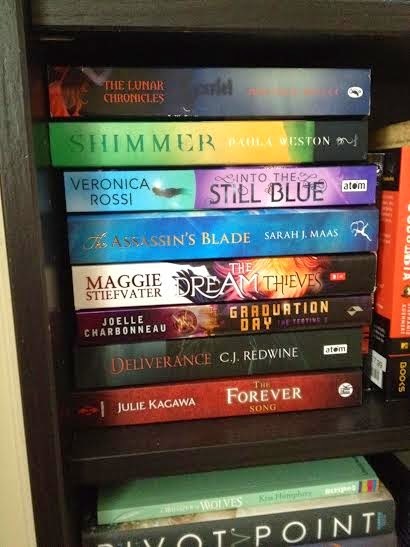 Are you on top of your books in a series?! Will you be joining #FinishItFeb? I would love to join but I'm preparing for exams and I have no free time at the moment! :( Days of Blood and Starlight is really good. I wasn't gripped for the first 200 pages but after that I flew through it! I want to buy Picture Perfect soon as I LOVED the other two books! Good luck with your exams! I'm really hoping to read Picture Perfect very soon.